Posted by Amy King & archived under Hyperlocal, Misc, Wellbeing. This year, PW has supported two brilliant charity fundraising efforts here in the PW community and in the US. Together, the wonderful runners pounded the pavements for a total of 39.3 miles! All funds raised will go towards supporting the physical and mental health of women and children. 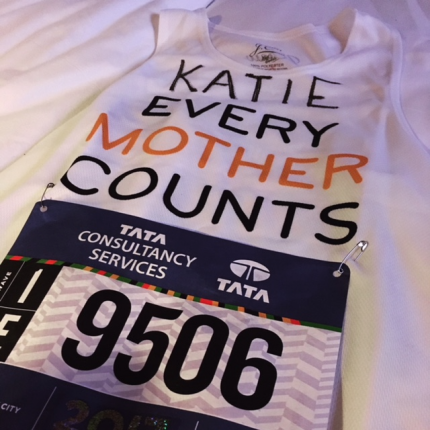 A wet November day was brightened by the crowds lining the streets through New York City as Katie Malbon ran the 26.2 (gruelling) miles in the 2017 NYC marathon to raise funds for Every Mother Counts (EMC). The charity helps mothers around the world get access to essential maternity care. In some parts of the world, women have to walk 8 miles on average to reach the nearest health facility – even during labour. When they reach the clinic, they may find there is no healthcare provider to help them, or that the clinic lacks the supplies they need. Headed up by Christy Turlington Burns, EMC’s projects extend around the world. From providing comprehensive pregnancy care and safe delivery in rural Tanzania (where the lifetime risk of maternal death is 1 in 45), to teaching midwives in community antenatal clinics in Haiti. Over in India, EMC trains activists and lawyers to document maternal health rights and violations, and secure legal judgements mandating better healthcare for mothers. These are just a few of the inspiring initiatives funded by this incredibly worthy charity, but it might come as a surprise to hear that the charity works in the USA, too. Though the country is awash with wealth, it ranks 46th in the world for maternal health, and 1 in 5 women lack health insurance. Almost 70 runners joined forces on the EMC NYC 2017 marathon team raising close to $200,000 between them. Being a paediatrician, EMC holds a special place in Katie’s heart. Maternal health is of paramount importance in bringing healthy children in to the world. 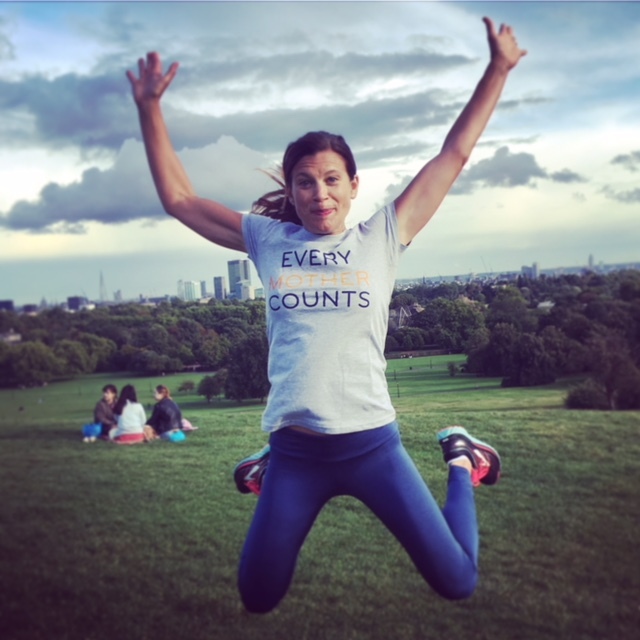 It certainly helped her throughout the race to know that every step of the 26.2 miles would be supporting mothers all over the globe. To find out more or donate to EMC, visit their website. In October, jj Media Group ran the Royal Park Half Marathon. There were some sore legs at the end of the 13 miles, but the team raised a wonderful £2,258.99 (someone give them the extra penny – please!). 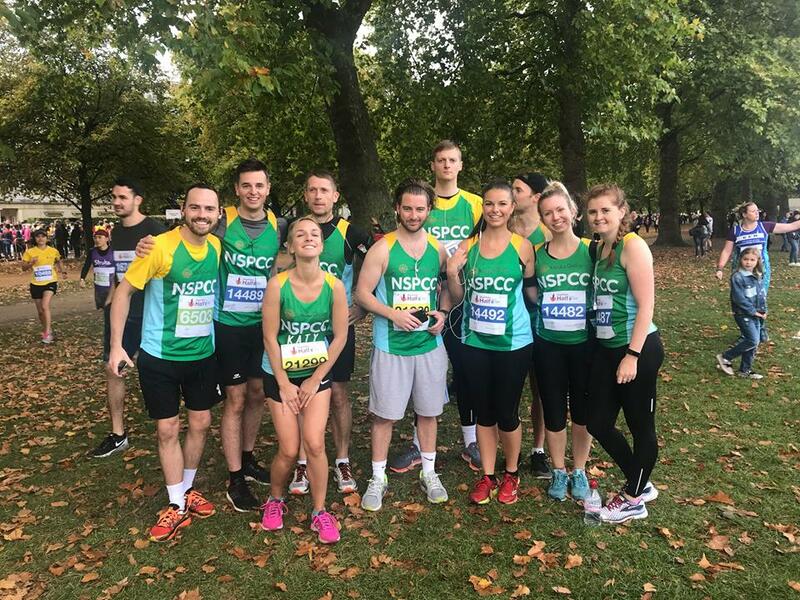 For jj, the work of the NSPCC to help children rebuild their lives made the 13-mile challenge worthwhile: “NSPCC are the only charity fighting to end child abuse in the UK and Channel Islands. They help children who’ve been abused to rebuild their lives, protect children at risk, and find the best ways of preventing child abuse from ever happening. We want to inspire young people to flourish, follow their dreams and fulfil their true potential and without the work of the NSPCC, sadly, in some cases, this simply wouldn’t be possible. Earlier this year, jj set up the jj Media Foundation to help support young creative talent. Working with PW neighbours Eastside, they have set up the UK Photography Awards for Young People. Three cheers for Katie and team jj!